Tell your friends you're headed to Napa and their next question more likely than not is "which wineries are you going to visit?" Naturally, the valley's award-winning wineries and vineyards are a must on your travel itinerary, but be sure to spend time in downtown Napa enjoying all it has to offer. You'll find a thriving arts scene, shopping, restaurants, walking tours, outdoor activities, seasonal festivals and more. Here are six ways to explore this beautiful California city and Do Napa. The Napa ARTWalk is a rotating exhibition of stand-alone and integrated sculptures (each available for sale) around Downtown Napa and the Oxbow District. Pick up a guide at the Napa Valley Welcome Center on Main Street or download it here, and learn about the Otocast audio app for a self-guided tour at this link. One way to embark on this artistic journey is to begin at the historic Napa Mill (tip: start with breakfast or lunch at the Napa General Store) to view the newest exhibit along with more established art pieces. This is also the site of Alan Shepp’s mosaic fountain entitled "Ars Longa Vita Brevis," or "Life is Brief But Art Endures," with his colorful vignettes capturing the history of Napa and the animal denizens of the Napa River. Follow the path along the riverfront and admire Terrence Martin's metal art "Fish On" (a 2010 ARtwalk People's Choice winner) as you head downtown to peruse more works. 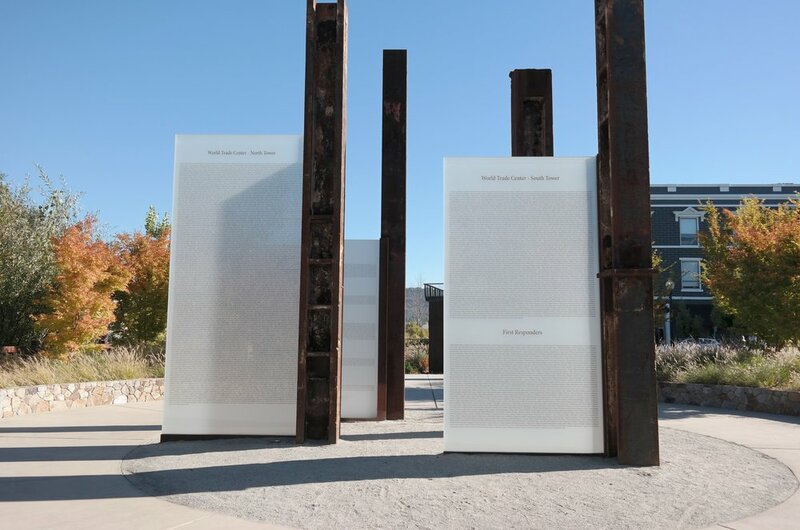 End at the striking 9/11 Memorial Garden, a collaboration with the City of Napa and local artist Gordon Huether incorporating steel beams from the Twin Towers. The Oxbow Public Market is a downtown riverfront hub, a 40,000 square foot marketplace with indoor and outdoor seating for restaurants, locally-owned businesses and their wares, and grocers showcasing California artisans and regional specialties. Start your day here with breakfast, spend the afternoon drinking, dining, and shopping, or stop in for Happy Hour and dinner. You can read more about dining options here. Next door is the Culinary Institute of America at Copia. Here you can attend cooking classes with topics ranging from "California Bounty" to "Indian Cuisine"; from "Homemade Cheese" to "Eclairs and Their Cousins". Learn about "The History of Napa Valley in 8 Glasses" in the Vintners Theater, or bring the kids for Sunday Family Fundays. The Restaurant at CIA Copia (see more here) also welcomes guests with a sleek dining room, open kitchen, and olive tree-shaded patio to enjoy lunch, dinner, and Sunday brunch. Take note of more pieces by famed Napa artist Gordon Huether, including "Bob & Margrit" atop the CIA's 75-foot tower, a tribute to Robert and Margrit Mondavi, and "The Fork" at the restaurant's entrance, composed of over 8,000 recycled utensils. Downtown Napa also plays host to a variety of wine tasting rooms, many in walking distance to each other for easy ambling. One of the most unique settings is the Capp Heritage Tasting Room. Settle in with a tasting flight in the main room with a striking antique mahogany and brass bar and steampunk elements, or relax in the Deco Room anchored by a circa 1910 stained glass ceiling dome (tip: visit on Saturday nights for live music). If you're lucky, you'll have time to chat with Gary Koehler, who is not only the tasting room manager, but a singer, songwriter and historian - be sure to purchase his CD and ask him about the Capp family and great-great-grandfather David Hudson's Napa legacy. A visit to one of Anette's Chocolate locations (1st Street or Oxbow Market) is a given, but you're in for more decadent fun if you combine her confections with a chocolate class. Anette Madsen and her brother Brent are famous for their wine-infused chocolates and other sweet treats, and at their 1st Street location, she leads a variety of classes. Sign up for the 45-minute Chocolate Tasting Class ($20 per person) to learn about the history of chocolate and candy-making, the proper way to taste and savor, and how regionality and chocolate-making methods influence distinctive flavors. Afterwards, take a seat on the cozy patio to linger with coffee, ice cream, candy, and more, or purchase packages of chocolates, truffles, caramels, marshmallows, and candied popcorn along with award-winning wine-infused dessert sauces and fantastic brittle. Napa native and local expert Justin Perkins of Enjoy Napa Valley has been leading tours in Napa Valley for 25 years, loves his job, and it shows. His signature Napa River History kayak tours are understandably popular due to his warmth, enthusiasm, and wealth of knowlege. Along his tours, you'll learn fascinating details, from flora and fauna to historical anecdotes and local tips. Enjoy Napa has recently expanded to bicycle tours and Justin will work with individuals and groups to customize bike routes, such as this one that started at Oxbow Public Market and led past vineyards and gorgeous Napa views to the Gordon Huether Gallery (look for an upcoming feature on artist Gordon Huether). For more information and to plan your next Napa trip, visit DoNapa, the official website of the Downtown Napa Association.